Okay, first, let me start by saying that I am an overly obsessed chick when it comes to a statement wall. Regardless of where it is displayed, it can create the perfect backdrop. 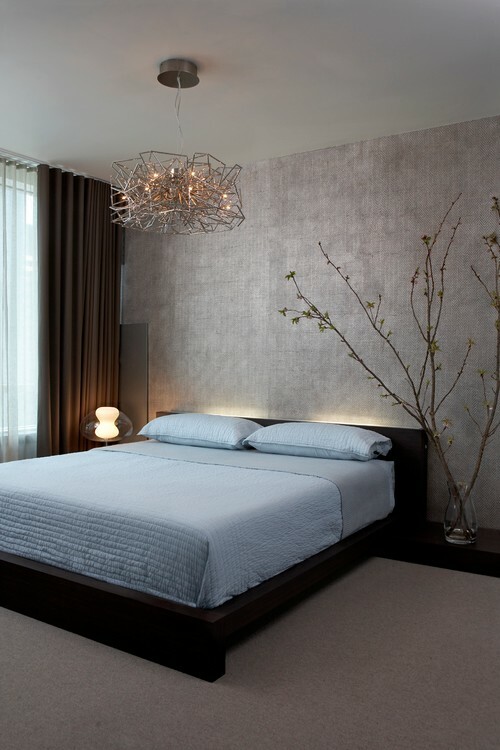 However, when it comes to a bedroom, not just any statement wall will do. 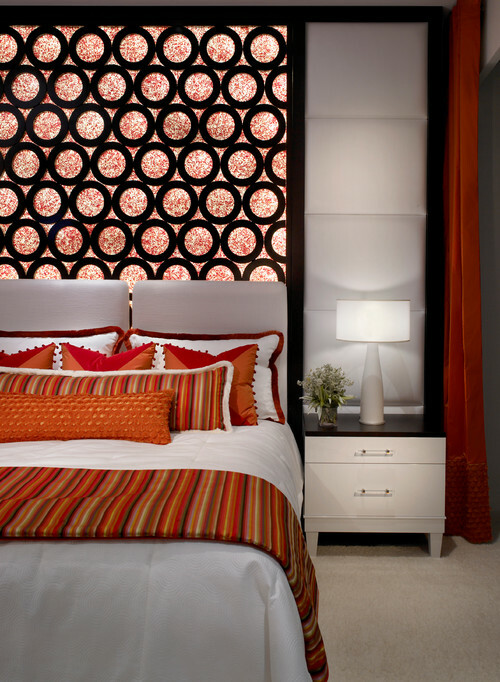 For me, the bedroom is considered the ultimate sanctuary. Once I open the door, everything that has weighed me down throughout the day such as hectic meetings, long day with clients, finishing up never-ending paperwork, photo-shoots or chasing after my two spoiled brats Stitch and Ace (Boston Terriers), whatever the case may be, it is all dropped and left on the outside. Moreover, once the door closes behind me, I breathe, relax and become at ease. I also tend to smile because this is what great design will do. 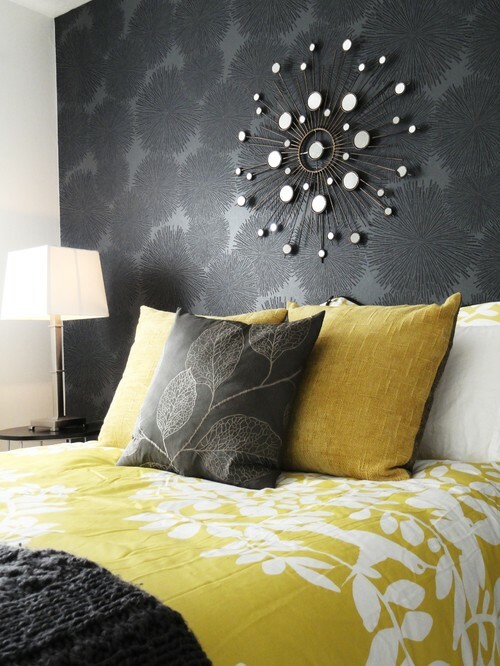 Especially, when there is an immediate attention grabber such as a statement wall. 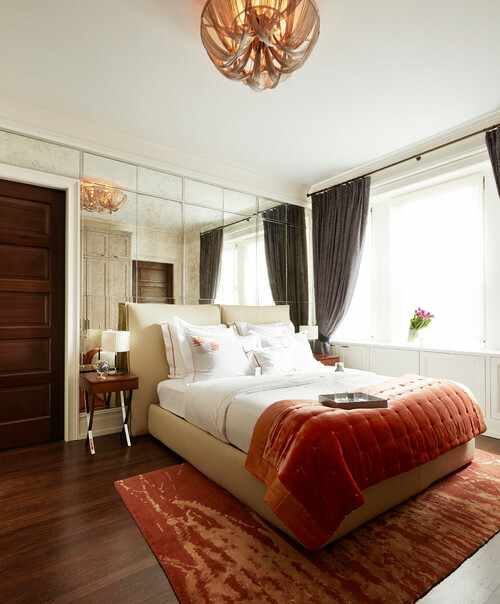 Bedrooms should be a serene get-a-way space, and they should capture the exact style of the occupants. 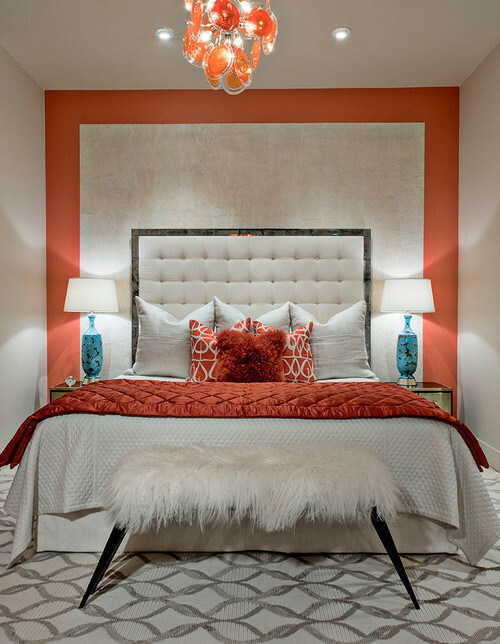 Incorporating a unique statement wall that will accent and complement the other elements within the room, as well as bring the overall design scheme together cohesively will give way to a well-designed interior. 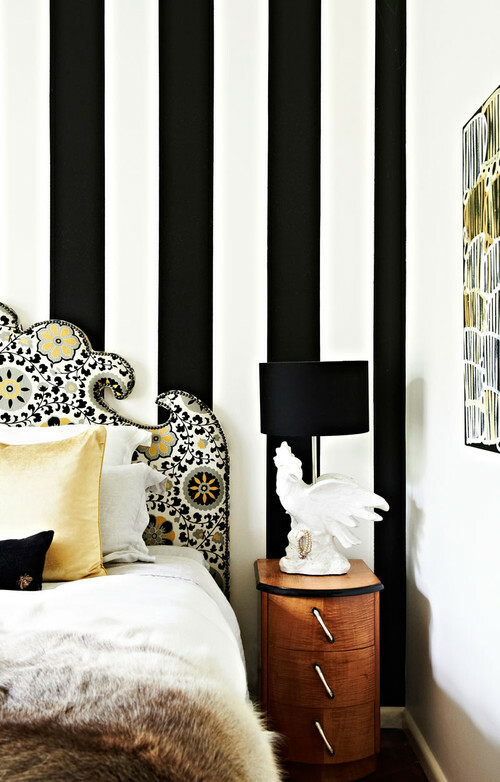 Design Tip: Also, remember a statement wall can be whatever your heart desire. So, get crazy creative with it! 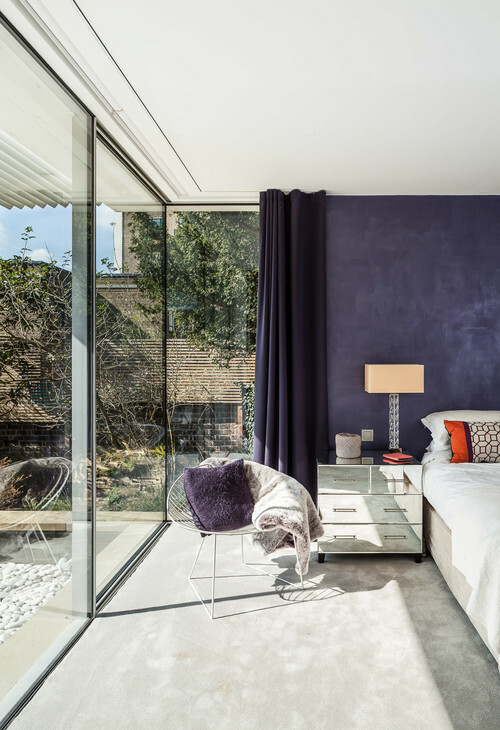 As an interior designer, and hypothetically asking, if today is the day to make a change and add a statement wall in your bedroom, what would you incorporate to bring your space together cohesively?